The equine form is endlessly inspiring. Several rainy storms have passed through this winter, creating lots of mud and green grass after many years of drought. 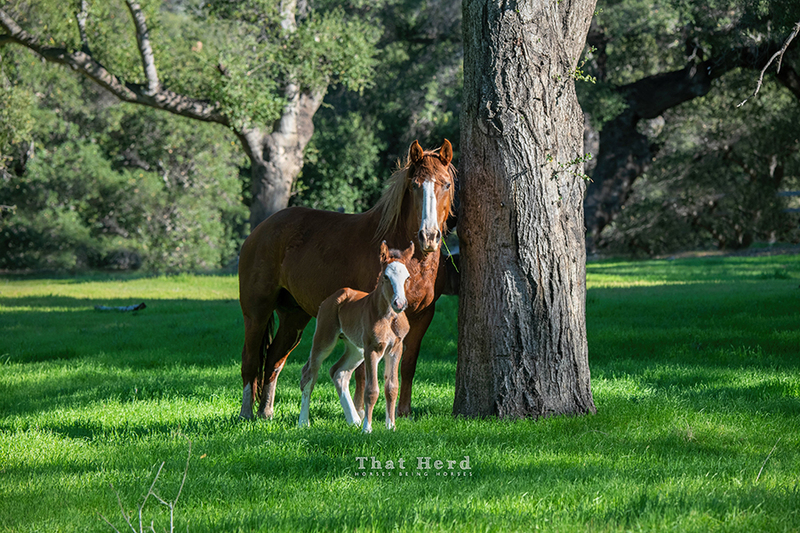 For a time, paradise is being celebrated by all of the That Herd horses. 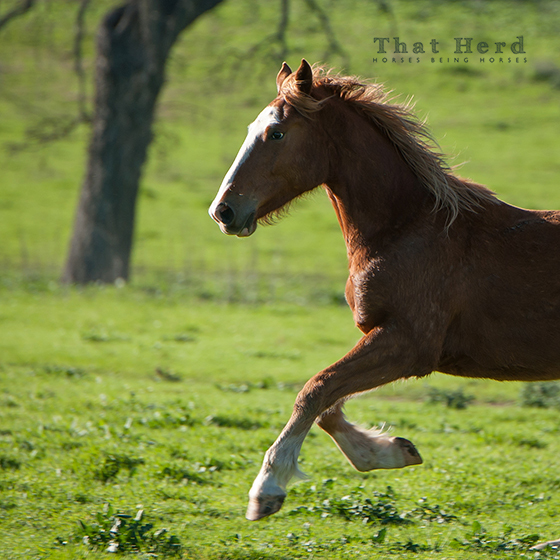 This three-year-old colt is an example; any excuse to run and buck is exploited. 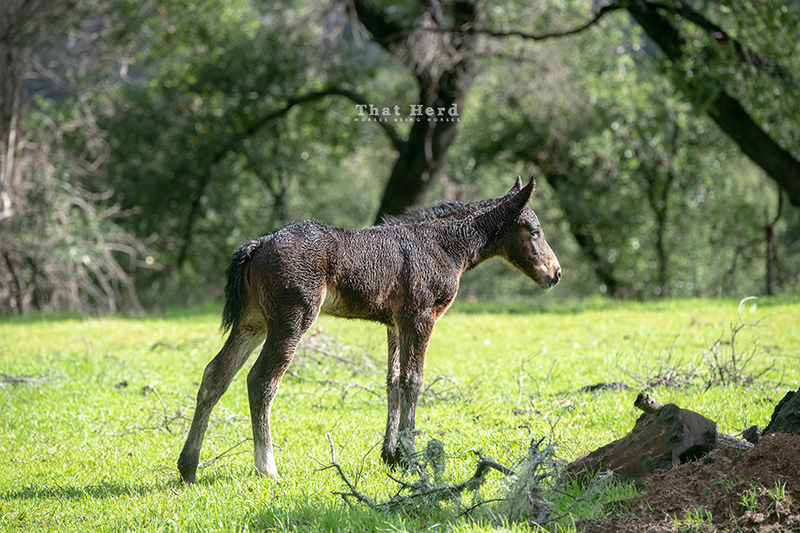 A young colt celebrates days of rain and mud and green grass. 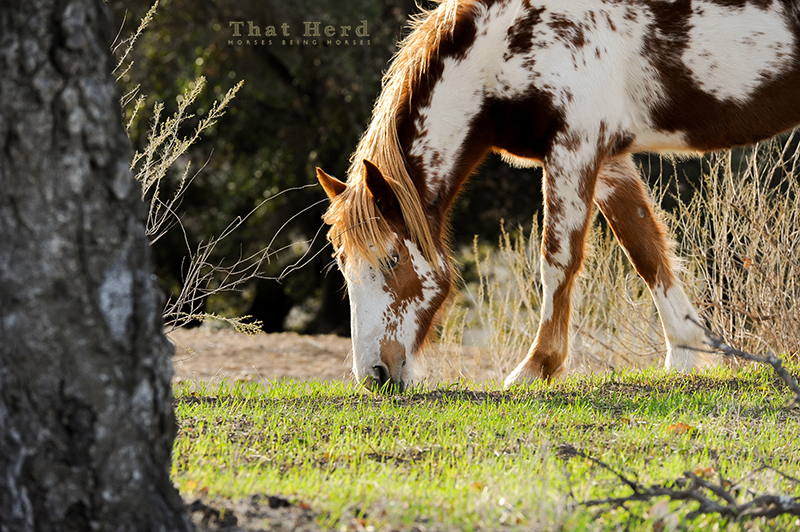 Broken oaks have become a common backdrop for That Herd. 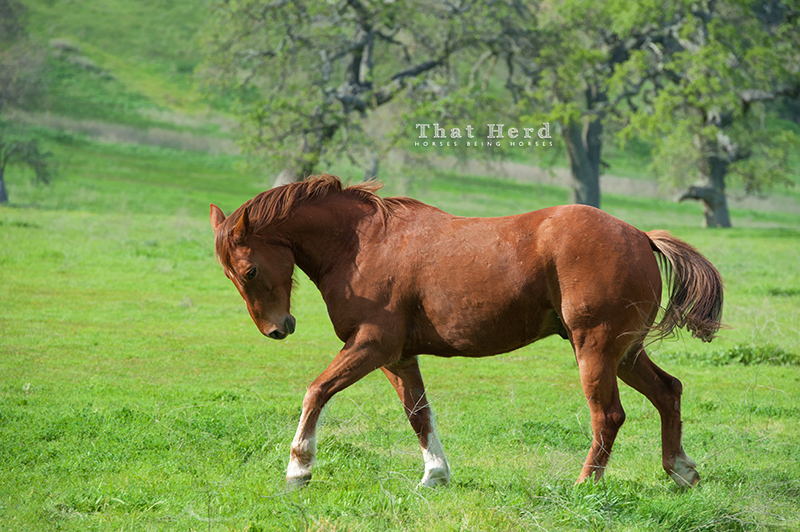 Here is a brief video clip of some young mares approaching with curiosity, then bursting away. Another fair winter day highlights the absolute beauty of the meadow where they were discovered. Unfortunately, some of the location’s brilliance is lost due to the video being shot into the direct sun. The winter grass was late making an appearance this year, but now that it’s sprouting, the horses are enjoying the fresh change in their diet. 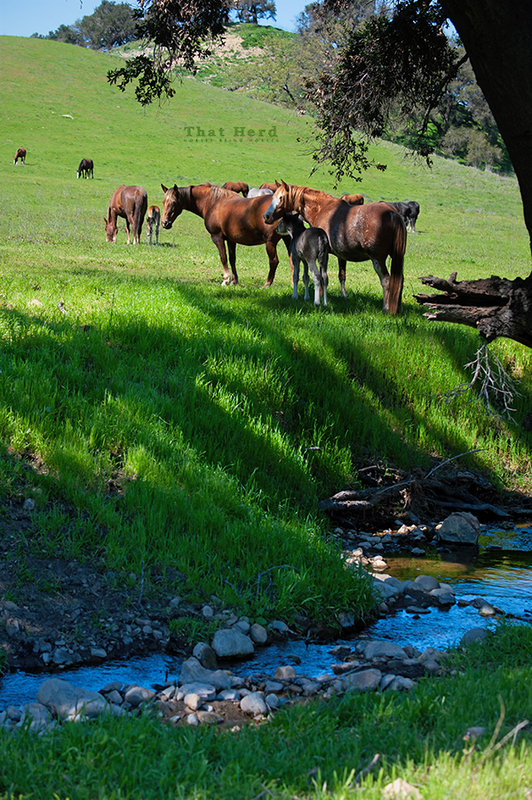 A long, lazy afternoon of warm February temperatures had all the mares amiable and content. 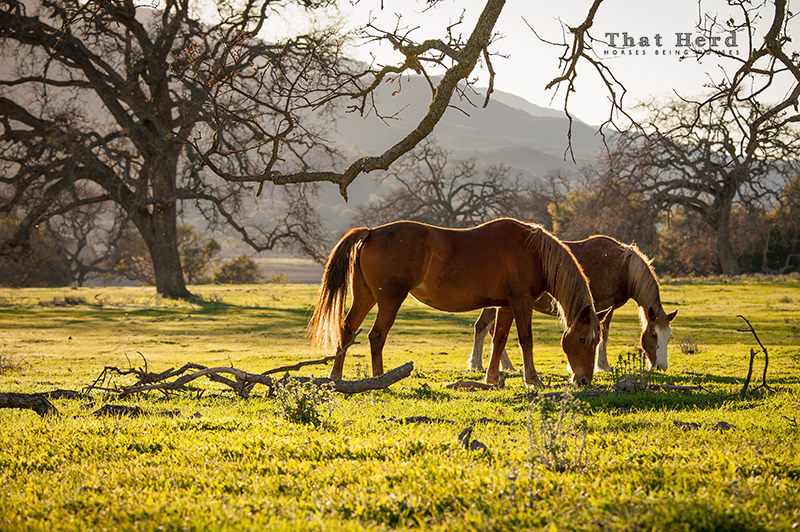 Two mares graze on new winter grass. It’s been a long time coming this year; new grass is finally sprouting. Some weak rain storms have come and gone, but after one long dry month after another this year, the new grass is most welcome. I always feel like I should mention that I have not enhanced the green of the grass in any way. It’s just that glowing and green. 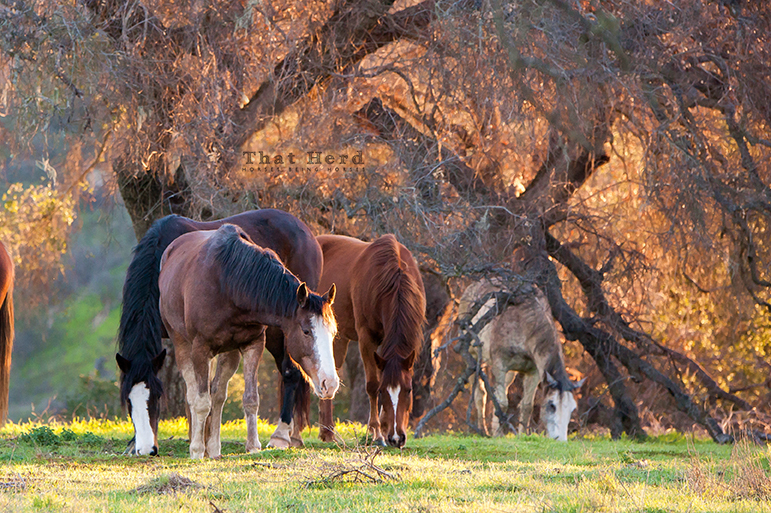 Winter grass makes an appearance much to the delight of the horses.